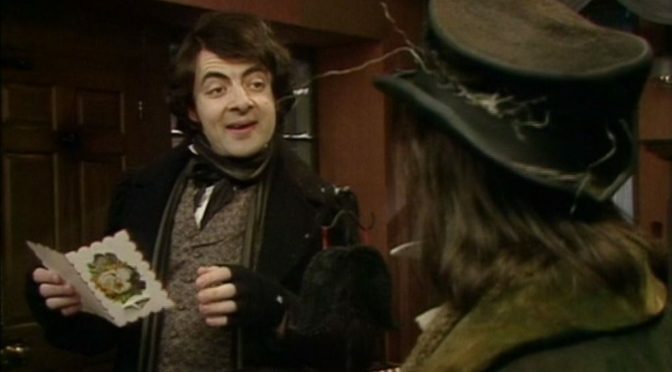 Have a Merry, Messy Christmas with these Blackadder inspired gifts! We’ve put everything we could find on Amazon together in once place to save you the hassle. Perfect for family, friends, or even yourself! Are you the biggest Blackadder fan in the world, or do you know one? This Blackadder inspired merch is perfect for Christmas presents, birthday gifts, or treats! We know there are Blackadder fans from all over the world. For the time being though, we have divided the gifts into two parts. The first section is for UK Blackadder fans. We’ve found everything we could to do with Blackadder, and put it directly underneath. US fans of Blackadder can find their Blackadder DVDs and Blackadder T-Shirts at the bottom of the page. Aussie fans – We are really sorry! Unless either Amazon sites can deliver to you, there’s not a lot we can do right now. When the Amazon Australian site opens properly, we will be all over it! Previous PostThe Most Romantic Line In Blackadder | Life Without You Is Like…Next PostThe Best General Melchett Line… Ever?